Spring break is in a few weeks and Summer vacation is right around the corner. 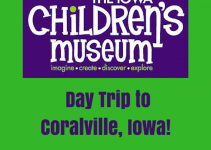 As Central Iowa families plan their vacations, here is a look at one of the most popular family vacation spots in the country and how to plan for it. Taking a Walt Disney World vacation is indeed magical and one that everyone should experience in their lifetime! If you are thinking of taking a trip to the Walt Disney World Resort this spring break or any other time in the future, here are some important things you should know. “The Happiest Place on Earth” can be just that and more, if you are willing to do a little planning, and take care of what I call “The Three W’s”. 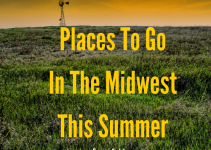 The “Three W’s” are: when to go, where to stay and what to see and do. 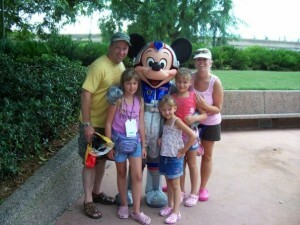 Planning a Disney vacation can be a daunting task but most issues can be resolved by taking care of “The Three W’s”. W 1: When should we go to Walt Disney World? Answer: Any day at Disney is a wonderful day but costs and crowds are always a consideration. Disney tends to break their schedules up into what they call “peak” and “off season” times. It’s no coincidence that peak times (spring break, Christmas, summer etc.) will cost you more at Disney than off season times. To maintain crowds in off season periods, Walt Disney World often has discounts during this time that can really give you a big bang for your buck. You have to know what you are looking for and what time of year to find the value pricing. There has never been a better time to book a vacation to Walt Disney World Resort! To keep things new and exciting the parks are currently expanding and adding many new updates. Just opened in 2013 is New Fantasyland within the Magic Kingdom! Now you can visit Belle and Beast at their castle or Ariel in her grotto, and experience a grand Princess meet and greet! I believe Disney World is a magical place no matter what time of the year you go! The key to an amazing vacation is proper planning and working with someone who can help you navigate all Walt Disney World has to offer! W 2: Where should we stay? Answer: With over 20 resort options within the Walt Disney World Resort alone, there are accommodations that fit every single family and budget! Walt Disney has standard rooms with double or queen sized beds that sleep four to five, all the way up to beautiful deluxe villas that can sleep over 10! A Disney resort entitles you to additional exclusive on site benefits like free transportation and luggage transfers, extended park hours and Disney theming that adds to the magic! W 3: What should we do? Answer: Planning a Walt Disney World vacation can be overwhelming. After 18 plus trips to Walt Disney World, there is one thing I know for sure: a successful plan is a must! The truth is, even after so many trips, there are still things I still haven’t seen or done! Walt Disney World has four complete theme parks, two exciting water parks and countless forms of entertainment from all over the World! The options for things to do can seem endless. When most people think Disney World, they think Cinderella’s Castle. That iconic structure is located in the Magic Kingdom but Disney World has three other major theme parks to explore! Along with the Magic Kingdom, you can visit Disney’s Hollywood Studios, Epcot, and Animal Kingdom parks! There are hundreds of rides, shows and attractions. Making a list of “musts” is where I always start with my own family. 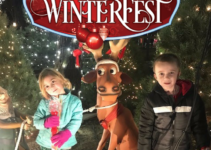 Identify the rides and attractions most important to you and your family, find out what parks they are located in, and determine when they all take place. To minimize wait times in the parks, you also need to know how to take advantage of Disney’s FASTPASS system! This is a system allows guests to reserve their ride time in the future in order to minimize wait times. By knowing how to navigate the parks and the effectively using the FASTPASS system you come home from a park and relax at your resort feeling like you’ve experienced an entire days worth of fun! I offer complimentary planning for all of my clients. Disney offers a multitude of services to make enjoying the parks very easy for their guests. They offer theme park tickets that include all parks, even water parks, and other entertainment! You have to know what they offer and how to use them in order to maximize your plan and your vacation dollar. Answer: The biggest piece of advice I can give those who are planning a visit to Disney World is to get in contact with an agent who specializes in Disney Destinations! I cannot stress this enough. A travel agent is not necessarily an Authorized Disney Agent! As an agent with FTM Travel, which has achieved the designation of Authorized Disney Vacation Planner, I have completed several courses specifically designed for Disney travel. I am a graduate of the Disney College of Knowledge. Regarding a Walt Disney World education, knowing is saving! 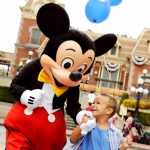 Contact me and I can help you find savings with Disney vacation packages that include accommodations, park tickets, entertainment venues, transportation and dining! I have saved some clients up to 40% on accommodations and up to 30% on Disney dining! When I plan vacations for my clients, saving them vacation time and dollars is always a priority. 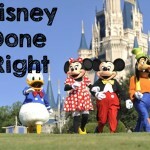 Contact me today for a no-obligation quote or to get more information on a Walt Disney World vacation. Jennifer planned our family trip last year. I was so overwhelmed until I contacted her. She informed me of things I would have had no clue about, and really saved my vacation. Disney is one destination that really takes planning, and her experience was a saving grace! We are planning a return trip next year and there is no way I would do it without her help. Thanks, Jennifer! !